January 1941. 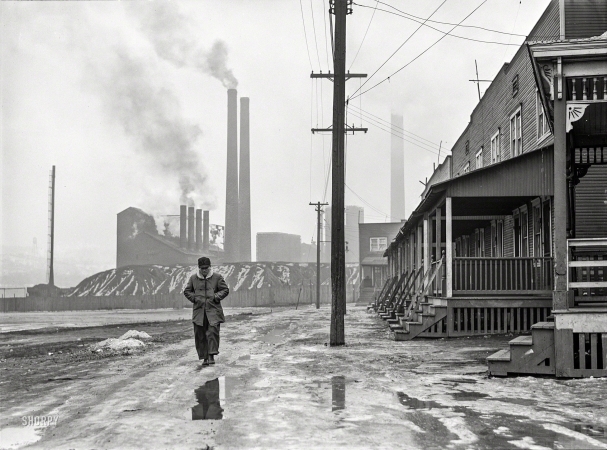 "Scene in west Aliquippa, Pennsylvania. Stacks of the Jones and Laughlin Steel Corp.."